Pay special attention to the new moon that is about to enter Aquarius on January 20th because as one of 6 Super Moons this year, you will be given the opportunity to wipe the slate clean and start over in some area of your life. How can you make the magic of the new moon work for you? Think and act as the Aquarians do! It’s never comfortable when some aspect of your life comes to a complete end, but you can turn things in your favor by saying good-bye to the past in a dramatic way. It’s time to cut the metaphoric umbilical cord that keeps you tied to the past by seeking out and embracing new opportunities. If there is some aspect of your past that needs to be healed, now is the time to do it. 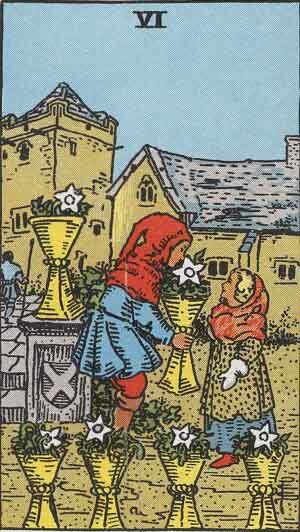 A card that keeps surfacing that describes what you need to move away from is the 5 of Cups. This tarot card often represent grief and regret with one’s emotional opportunities; this grief affects your foundation, your base, your ability to be grounded in this world (also known as the Root Chakra). Don’t be a slave to memories or ideas that keep you feeling powerless. Be courageous and stand on your own two feet knowing you can take care of yourself. The new cycle that wants to be born is chipping away at the old world structure, the patriarchy is being challenged by an upstart who is smart, intuitive and very feminine. 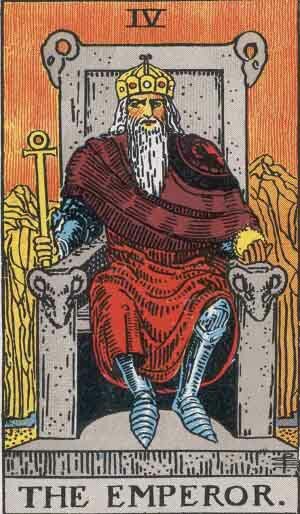 The Emperor represents the old world and masculine authority that has been in a position of leadership for a very long time. It’s easy to follow the wisdom or guidance of the status quo because more people are comfortable with following established order over a new system that might be perceived as unorthodox, challenging, or weak by conventional standards but it is time to shake things up. Go, Aquarians! Aquarians love to cause trouble with their utopian vision of the world and their breadth of knowledge comes from a mixture of curiosity, creativity, and intuition. 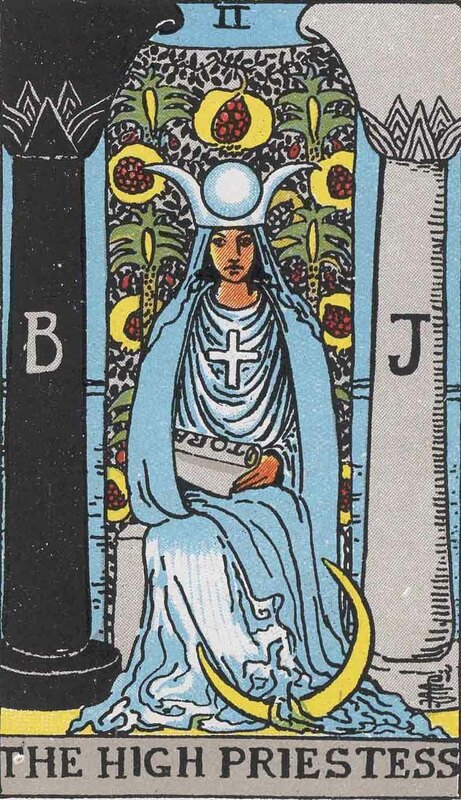 The High Priestess represents this Aquarian challenge to the status quo. The High Priestess (or Popess) loves knowledge and she is open to some radical ideas and visions of the world because she knows that great minds do not think alike. The greatest minds of our generation have a unique vision of the world. If you follow a traditional value structure, it might be time to ask what innovative ideas are you adding to the paradigm or system that might be seen as a threat? How can you find support for your unorthodox ideas or originality so it can be appreciated during this new cycle? Aquarians are social creatures and they love to communicate fresh and original ideas within their community and can be very persuasive during debate. Three cards that explore some tools that people can use to implement Aquarian values in the world are explored with the Strength (or Force), The Sun and Six of Cups tarot cards. 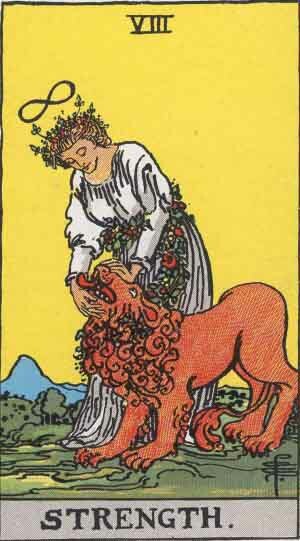 The Strength card is a card that explores the idea of patience and perseverance. Part of the work during this cycle will be to communicate with people who have a conventional or status quo mind-set, but you will bring something young, fresh or exciting to the table. If there is something that you want and you are faced with an opposing view, how can you effectively communicate your position in a way that is perceived as peaceful and non-threatening? You might have to work with people of a conventional mind-set, people who might want to maintain some control (or old world order), but you are in a position to use your skills and share your insight in a way that isn’t perceived as threatening. This is your challenge! 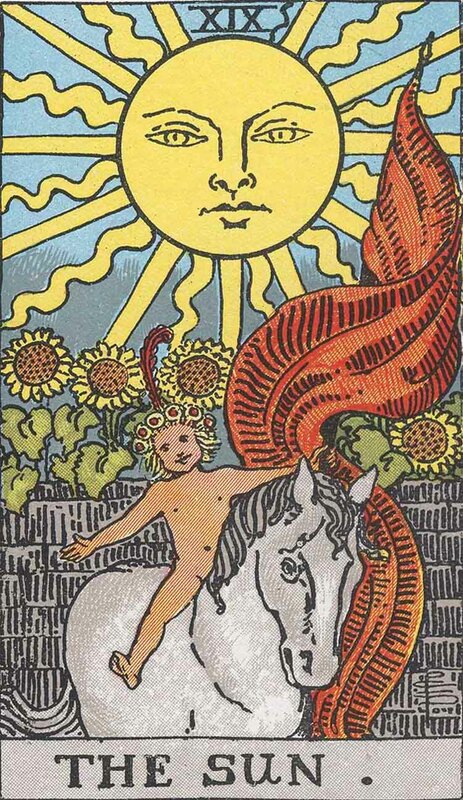 The Sun tarot card explores the freedom-seeking side of Aquarian nature. How can you take a lighter, more spontaneous, optimistic, or even playful view to your life circumstances and share that with your community? 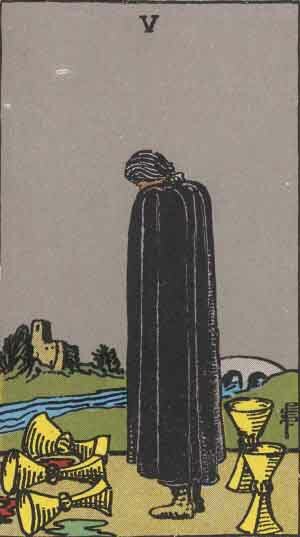 The 6 of Cups tells me that some of your Aquarian opportunities might come from the past. Is it possible that the ideas that you need to share have a space in a community that you’ve had for a very long time? Look no further than your own peers to explore your ideas. It’s possible that something or someone from the past might resurface at this time. Who or what used to inspire you? When or where have you dabbled in the unconventional in your life? Who has shared innovative moments with you? Since this new moon also coincides with a Mercury Retrograde cycle, your work might be in reflecting on the past and dusting off some old skills or relationships that might assist you with creating a future that uses creativity, intuition, and fun-loving community oriented attitude. Mercury Retrograde cycles ask you to review or reflect on some aspect of your past before you move onto the next step. I would love to hear more about how you plan to implement Aquarian values in the next 4 weeks in the comments section!